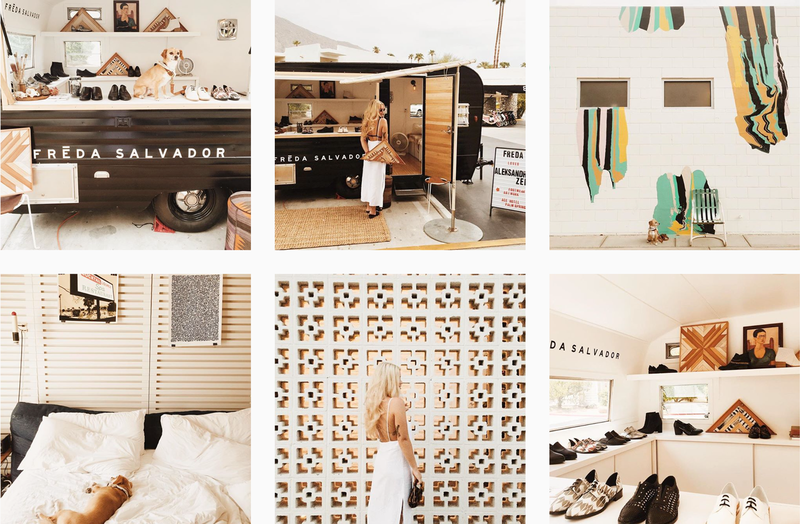 Instagram can be a daunting platform to take on, even for the savviest people in social media. 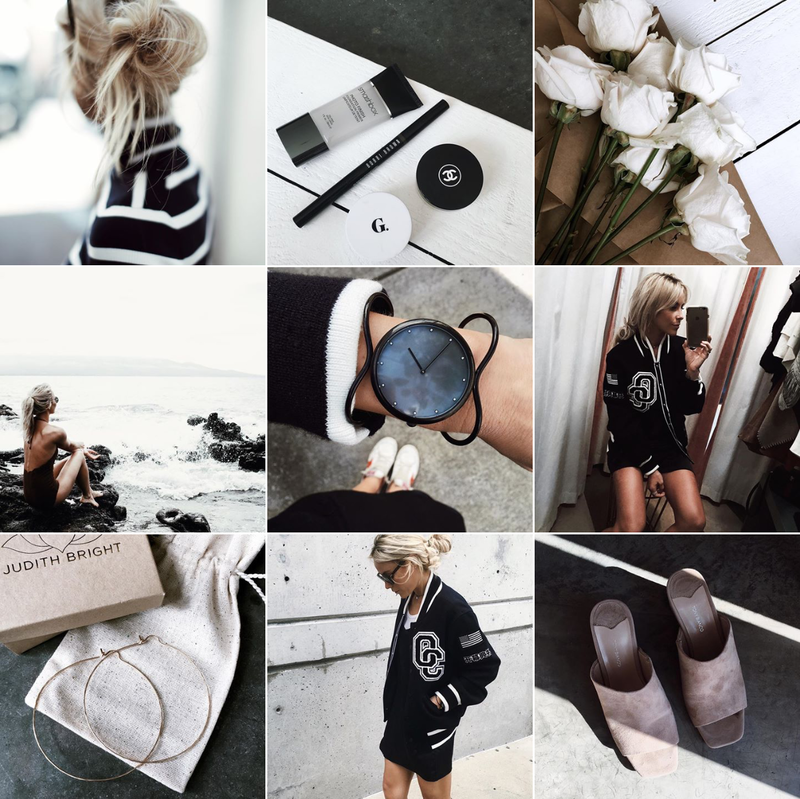 That’s why having a distinct Instagram style is essential to stand out from the crowd. One powerful strategy we suggest is choosing a color scheme for your profile — this is essential in creating a cohesive feed. Consistency is also key if you want to thrive on Instagram. All of the most successful Instagram profiles usually have that in common. Choosing which color scheme that works best for you is actually really simple… don’t over think it! Think about your personal style, what your brand is about, and how you can paint that in a visual presentation. Below are a few examples of Instagrammers who have chosen various themes to stick with on their grids and the results are just beautiful! Read on, examine these color themes and accounts, and be inspired. 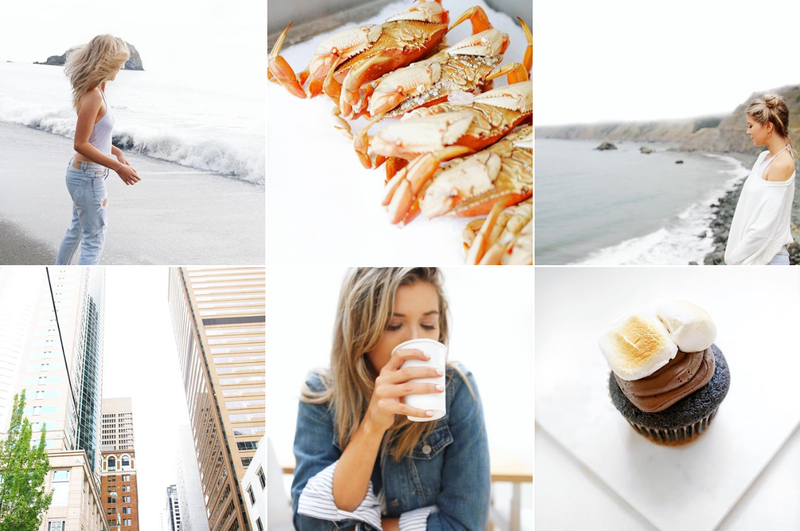 @meghanrienks keeps her Instagram feed clean by incorporating a lot of white and/or negative space, while also using different angles and photography composition. Each image transitions into the next seamlessly, which helps her feed “flow” beautifully, while maintaining a bright, fresh look. Mary of @happilygrey brilliantly injects her feed with gray tones by saturating the images, while still maintaining a bold composition with high contrast. We love her feed’s clean aesthetic. Mary allows subtle pops of blues and greens, as well as bold whites scattered throughout. 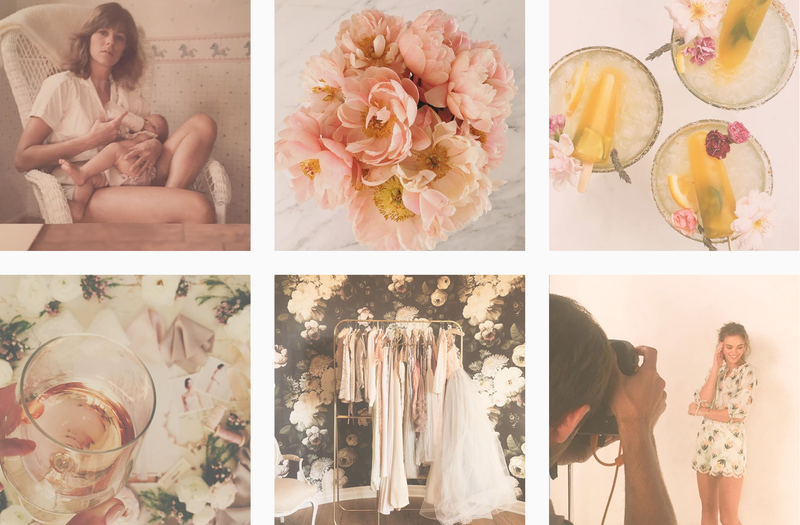 We adore @laurenconrad’s feed with muted pastels, and tons of pink (#WeHaveThisThingWithPink)! She stays super consistent throughout, and sticks with this same color scheme that stays true to her brand. The results are absolutely dreamy. One of our favorite creative couples, Ashley and Jared of @sugarandcloth, does a fabulous job at making their feed bright and colorful in a tasteful way. 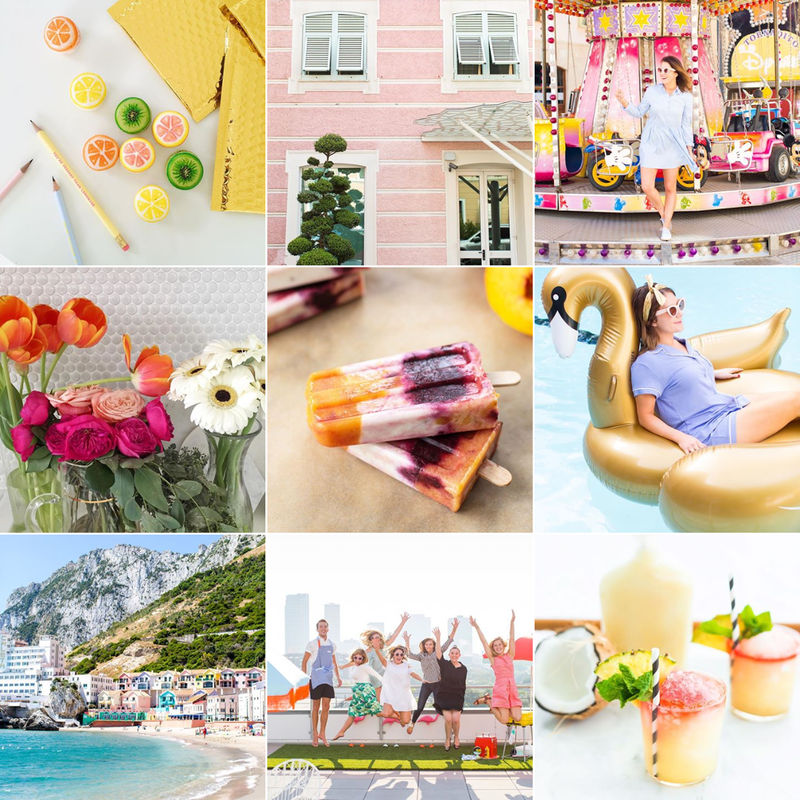 They mix in all the colors of the rainbow to create pure Instagram perfection and their grid truly convey their personal as well as their professional personalities and brand aesthetic. Keynotes to take away from their Instagram style is bright, crisp lighting! They usually shot in natural lighting to keep their photography vibrant and consistent. We adore Aleksandra Zee of @aleksandrazee! This gorgeous gal showcases her beautiful woodwork art on her Instagram, as well as other artsy shots of life and work. We love the way her feed has a golden hue to it. She uses a lot of neutral colors that gives off a desert goddess vibe to her profile which speaks to her personal style and her handcrafted art. We are really digging it! The way that you edit a photo is crucial in maintaining your color scheme. This step cannot be overlooked! A few editing apps we love are VSCO, Darkroom, and Snapseed. They offer really amazing tools to make sure your photos are just right for your feed! Try to stick to the same editing process to be consistent but also adjust accordingly with each image, as it may look completely different in different lighting. These are just a few examples of directions and color themes that you can go for. The important thing to keep in mind is to make it unique and allow it to compliment your brand. Once you get a good flow going, you’ll be amazed at how much easier it becomes over time. Don’t worry if your Instagram isn’t exactly how you want it to look right in this moment. If you’re just starting out, it takes time. Be patient and allow your style to develop. Most importantly, have fun with it! Creativity never runs out and it’s always fun to experiment.